A Wood Stork flew along the edge of the canal, dropping low over the water. That is a Turkey Vulture huddled up on the dike bank. 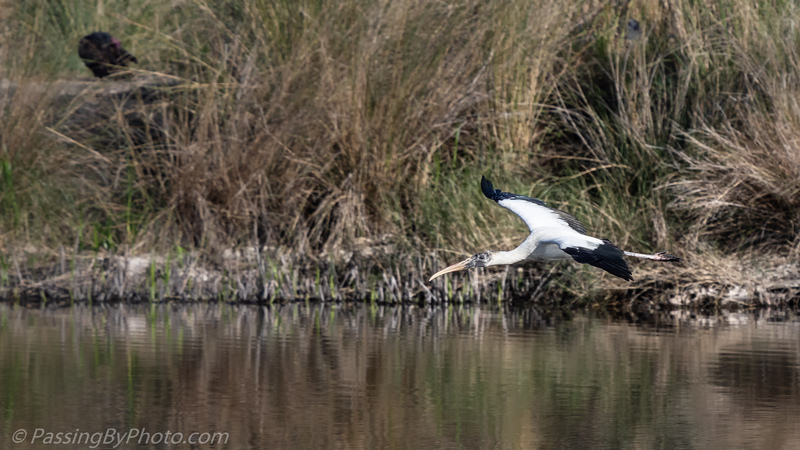 In an easy looking glide, he slid past a Great Egret before heading into the reeds and out of my sight. 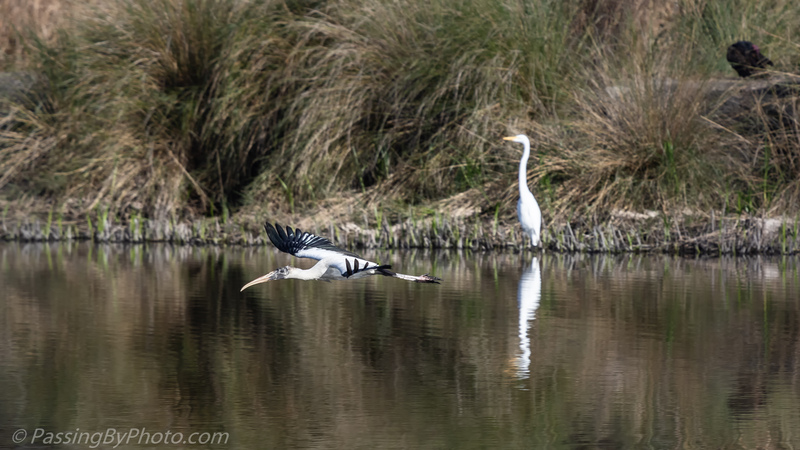 Love the reflected egret as the stork passes. Such a moment, suspended in time. I do like the stork against the muted background. Lovely photos!